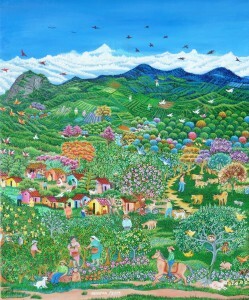 Auramar (Aura Marina Pineda) was born in 1960 in La Palma, El Salvador. A self-taught artist, she began her artistic career in 1995. 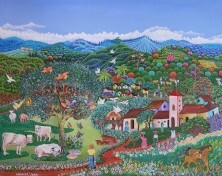 She has participated in group exhibitions in El Salvador.